There are some real gems in the linked pictures in this blog post. The railway book case and Turnpike Lane (a London Underground layout) are my favourites! 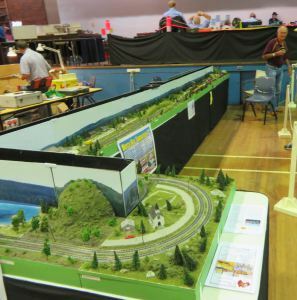 The train show was held on the weekend of 13 and14 Sepember 2014 in Cleveland, Queensland, Australia. This link has some pictures of the show.